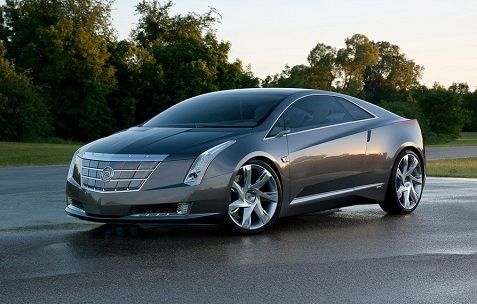 GM showed off this new Caddy at the Detroit Auto Show earlier this year. It looks pretty awesome and it’s basically a luxury version of the Chevy Volt as Cadillac brings plug-in hybrid technology to the Cadillac brand. When General Motors (GM) decided to make a plug-in hybrid several years ago, there was a lively discussion behind closed doors about whether the first model to showcase the expensive technology should be a Chevrolet or a Cadillac. The Chevy advocates won and the Volt was born. History suggests that may not have been the right choice. The Volt—the first car to mix all-electric capabilities with an auxiliary gas engine to extend its driving range after the battery’s depleted—has had disappointing sales. Republicans during the presidential campaign pilloried it as a symbol of the failings of President Obama’s auto-industry bailout. GM has decided to take a second stab at Volt technology, and this time it’s heading upmarket, with the Cadillac ELR plug-in hybrid, introduced Jan. 15. That may be going a bit too far, as there’s nothing to indicate that a Cadillac would have fared any better as GM’s first plug-in option. The technology is just getting started, and the Volt’s price point was always an issue. Electric competition coming for Tesla?